The 2017 Subaru Forester compact crossover enters the new model year with some small updates that include a slight increase in fuel economy. At least when it comes to models with the base 2.5-liter boxer-four engine, optional CVT automatic transmission, and obligatory all-wheel drive, that is. That combination is now rated at 26 mpg city, 32 mpg highway, and 28 mpg combined by the EPA. The new ratings represent increases of 2 mpg city, and 1 mpg combined, while the highway figure remains unchanged. The 2.5-liter engine produces the same 170 horsepower and 174 pound-feet of torque it did for 2016, and is also still offered with a 6-speed manual transmission. Fuel-economy figures for the manual version have not been published, but the 2016 model achieved 22 mpg city, 29 mpg highway, and 25 mpg combined. The optional 2.0-liter turbocharged boxer-four's fuel-economy ratings are unchanged at 23 mpg city, 28 mpg highway, 25 mpg combined. 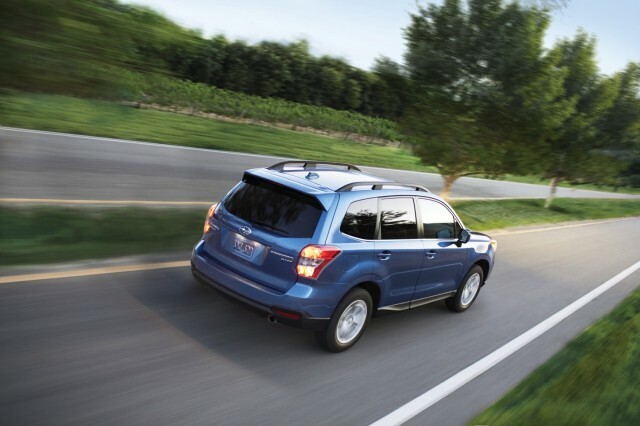 Available only with the CVT, the turbocharged engine produces 250 hp and 258 lb-ft of torque. 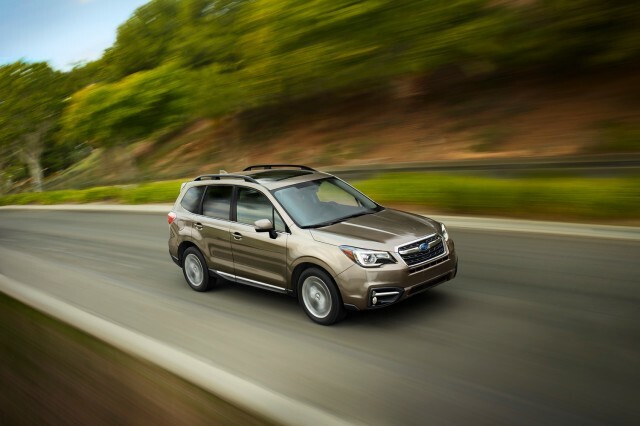 In addition to the slight bump in fuel economy, there are some other, relatively minor changes to the Forester for 2017. 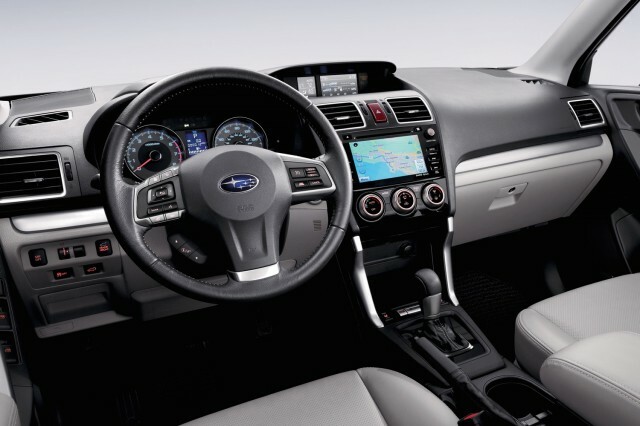 Subaru added additional insulation and an acoustic-glass windshield to quiet the interior, and made some styling tweaks. A torque-vectoring feature for the all-wheel drive system is now also available on models equipped with the turbocharged engine. This shunts torque side to side during cornering to help improve handling. The 2017 Forester also gets additional optional safety features, including hill-descent control, high-beam assist and a system that swivels the headlight beams as the car steers. Reverse automatic braking is now available as well, augmenting the forward automatic-braking feature already available on the Forester. Both systems can detect large objects and apply the brakes without any driver intervention at low speeds. The 2017 Subaru Forester goes on sale in early July, with pricing to be announced closer to that date.